Purchase the REDLINE™ System as a Package & Save! 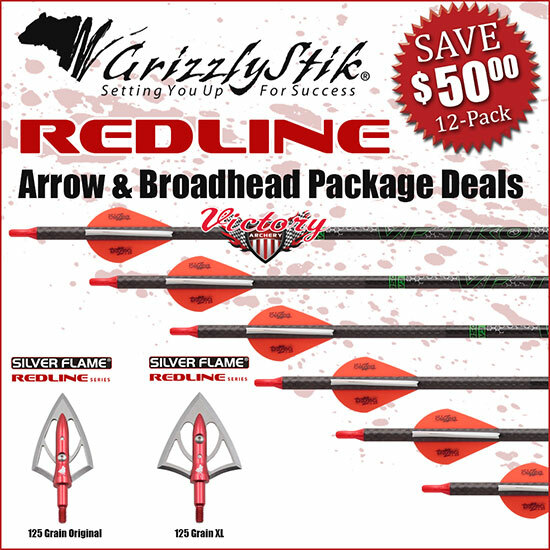 We created the GrizzlyStik REDLINE Arrow packages for bowhunters who are tired of poor arrow and broadhead performance and are looking for arrows and broadheads that are able to kill big game cleanly and consistently. If you’re ready to up your game and try a more efficient arrow and broadhead combination the REDLINE 6-arrow package is for you! We designed this package to deliver the most arrow lethality at the lowest price possible. 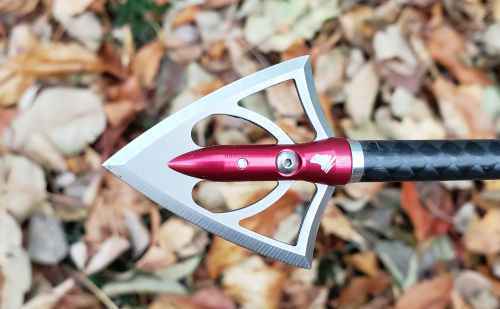 Now we’re offering you sweet package deals that are all fletched and ready for hunting. We also hear from bowhunters nearly every day that they’ve lost another animal. That they’re getting terrible penetration and they’re tired of it. But - they’re not ready to go all the way to 650 grains – so what can they do? 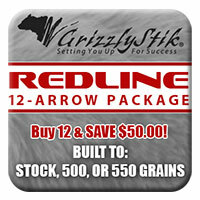 Try our GrizzlyStik REDLINE packages!